﻿ Four Points by Sheraton Bali, Kuta, Indonesia | FROM $59 - SAVE ON AGODA! "Excellent staff and very pleasant." 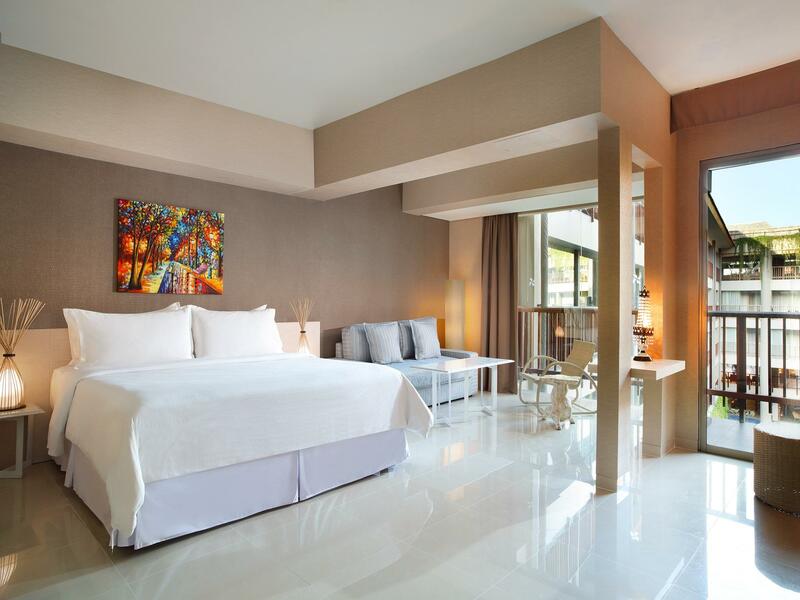 Have a question for Four Points by Sheraton Bali, Kuta? "Traveling here on business and leisure, great location and away from all the tourist stuff." "Easy access to everything in Kuta, friendly staff and always happy to help with anything." "Excellent hotel in Kuta Area." 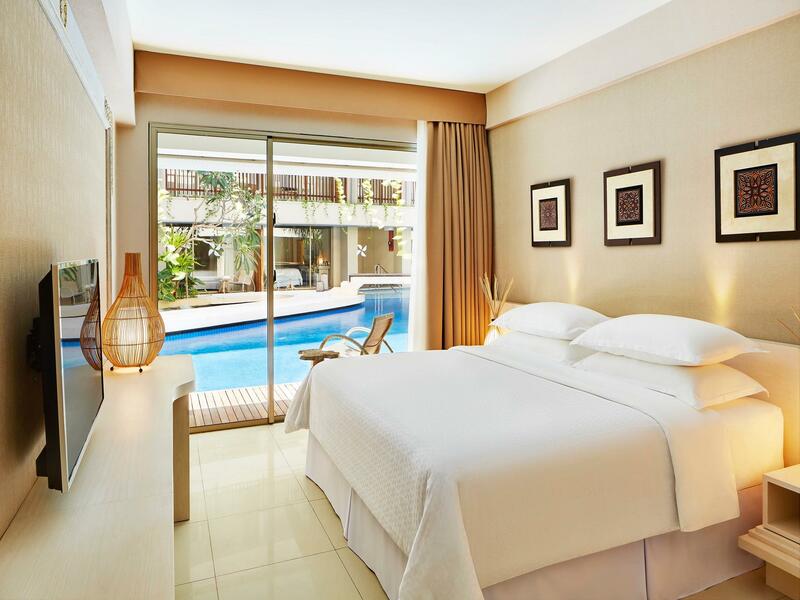 Four Points by Sheraton Bali Kuta, located in Kuta, Bali, is a popular choice for travelers. From here, guests can enjoy easy access to all that the lively city has to offer. With its convenient location, the hotel offers easy access to the city's must-see destinations. 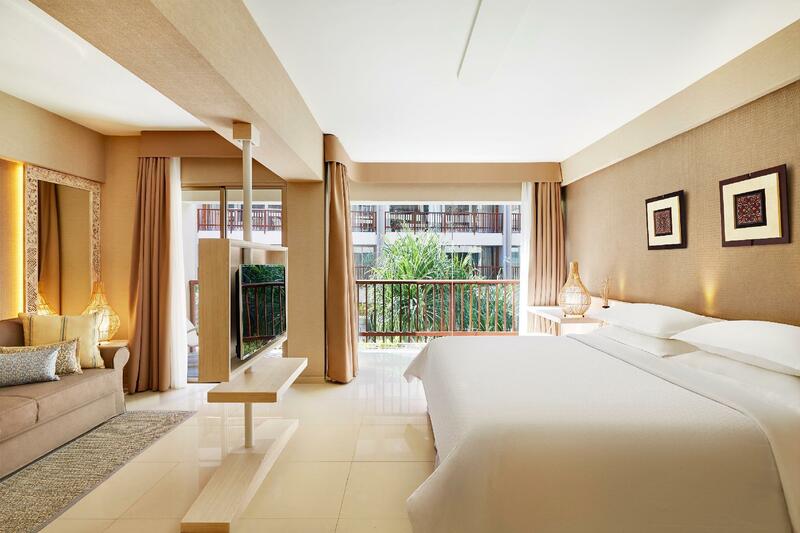 Starwood Hotels & Resorts Worldwide is renowned for its quality services and friendly staff, and Four Points by Sheraton Bali Kuta lives up to expectations. A selection of top-class facilities such as 24-hour room service, free Wi-Fi in all rooms, 24-hour security, daily housekeeping, 24-hour front desk can be enjoyed at the hotel. All guest accommodations feature thoughtful amenities to ensure an unparalleled sense of comfort. The hotel's recreational facilities, which include fitness center, outdoor pool, children's playground, kids club, pool (kids) are designed for escape and relaxation. 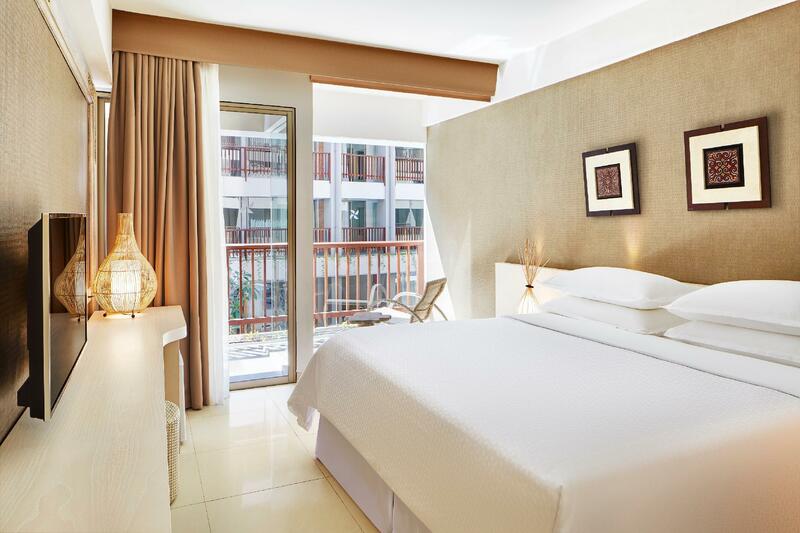 When you are looking for comfortable and convenient accommodations in Bali, make Four Points by Sheraton Bali Kuta your home away from home. "The hotel is in a very good location." The kids club is available from 10:00 AM to 05:00 PM. Children under 3 years old will receive breakfast free of charge. Children 3-12 years old will be charged IDR 70000 for breakfast per day. Excellent staff & nice environment for infants. Though the hotel is a bit far from kuta main areas but they staff gives every comfort you need. Their services are just exceptional , starting from the front desk to housekeeping the staffs are just brilliant . We stayed 5 nights in Four Points with a pleasant stay. All staffs were nice and we even got mango ice cream upon checked in. The swimming pool was amazing and large enough. The bed and pillows were comfortable. The only thing to turn us off was the tv screen which was not clear enough. The location was not closed by the beach but if you rented a motorcycle, there would be no problem at all. And you had a 24 hour mart next to the hotel. 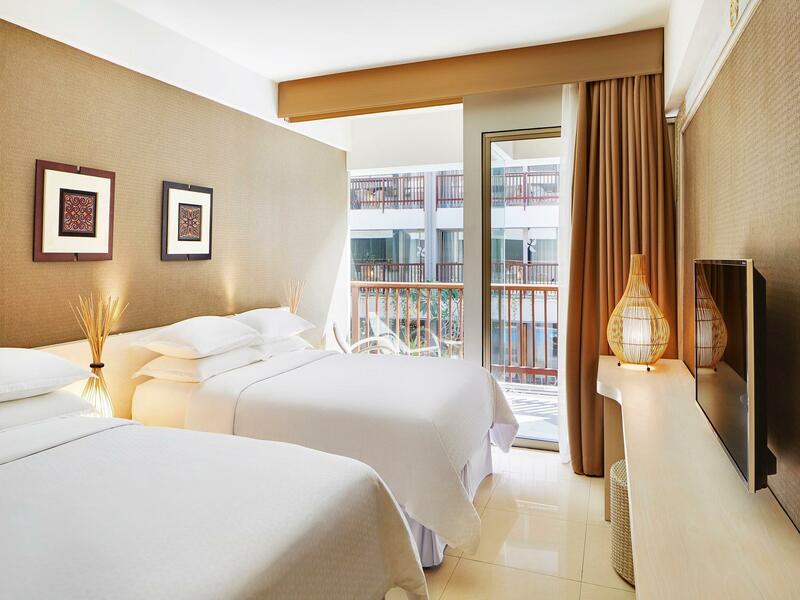 Its a good hotel with brilliant staff & services, though the rooms are a bit congested for family and the location a bit far from the main kuta area . I have to say this that the staff of the hotel covered it up , they just know how to comfort you in every aspect. Poolview room is nice to relax. Pool is good to enjoy swimming and also relaxing. I can enjoy bars, spas, shoppings, good restaurants and kita beach for surfing by walk. Exclude breakfast, there are good restaurants near from hotel. The hotel is in a very good location. You get massage / spa parlours, convenience stores, restaurants just within walking distance from the hotel. Rooms are slightly small, but clean. Toilet has a slight sewage smell but was not a big problem for us. The hotel staff (from the receptionists to the restaurant staff) were all amazing. I would definitely recommend to friends and family. Staff are friendly and helpful, the traditional Balinese SPA was good and value for money. Look out for the "Grill and Chill" Wednesday deal, the steak was good with relaxing outdoor ambience. The room floor was a bit sticky and could be better if the room has been aired before the next guest arrives. Love the bed, the kids club, the breakfast, the room. Everything was great. Thank you for the restaurant staffs who helped me preparing a birthday surprise. We will be back soon . This hotel definitely my top choice to stay. Easy access to everything in Kuta, friendly staff and always happy to help with anything. Bed was very comfortable, best bed I've had in Bali! There are only a few chairs around the ground floor pool and difficult to navigate walking around (the spa is great in the centre) and the top floor pool is very shallow - great for young kids. Pool towels can be hard to find and definitely need new ones as they are very old, stained and tattered! Only issue for us was the wifi on our side didn't work very well - not a problem for some but being self employed I need internet so I used my international data instead. If you like a coffee with breakfast, they don't charge for the first one - took us until our last morning to realise this (the menu price is $5 plus tax). Locker and AC was broken. Rooms were small. It was quite some walk to beach and staff was extremely slow and not really helpful in providing necessary info. It was great to stay at there. We’ve been bali for times. And four points staying was the first time. It was nice place and people who work at there were so kindly. We definitely want to visit again. The amenity of the hotel in excellent - with excellent pools, bars and cafes. 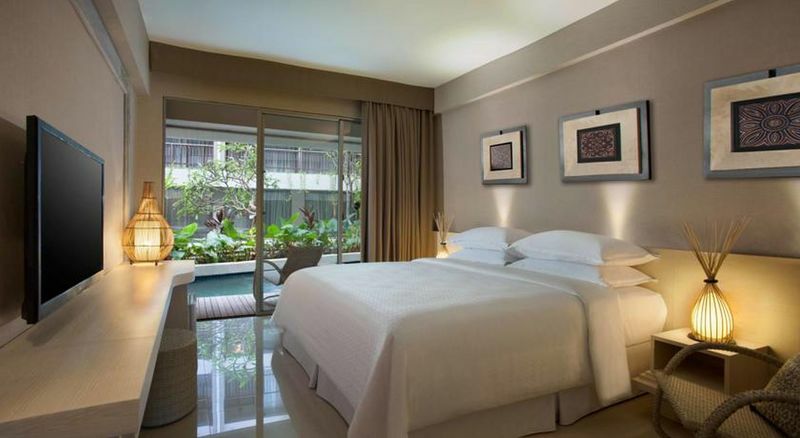 It is a very pleasant hotel in close proximity to Legian. The rooms are adequate though a little small and not that sound proof. That said, if you are only using the rooms for sleeping and don't mind waking up early, it is a great hotel. The hotel is in a strange location, no beach front or main thoroughfare access. Our car had to squeeze through roads barely wide enough for 2 cars to fit. The hotel however is nice and clean, very eclectic decor. The room was good - king bed was comfortable and basic amenities were provided. The most outstanding was the service. The staff were very attentive and took every effort to ensure guests were happy. The breakfast spread was also of a decent quality. Did not swim in the main pool but the rooftop pool was like an oasis. Lush greenery around the pool. Overall an enjoyable stay. Well done and keep it up. this is a fairly new hotel. the staff are eager and rather responsive. I requested a very late check out and although it took time to reply to the request, it was eventually granted and given for free. We highly recommend this hotel. Easy access to everything in Kuta very comfortable beds very clean rooms and amazing helpful friendly staff. The breakfast buffet was excellent and plentiful. It's not a traditional Balinese hotel, it's very Western but the Balinese staff make it memorable and just lovely to stay in.